The glamorous lives of Bollywood actors and actresses are not hidden from anyone. However, do you know about their academic backgrounds and how educated they are? Yes, some of them are pass-outs of prestigious MBA colleges. Let’s take a look at their educational journey that will inspire you to live your passion without comprising on academics. Here are 7 Indian celebrities you never knew had an MBA degree. Read about their academic excellence and the skills for which they are famous. 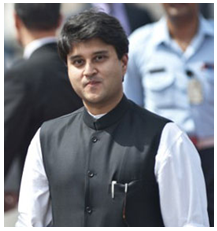 Known for: Currently an Indian film actor, producer and a former model, he has an exceptional educational background. John made his film debut in the year 2003. He did his MBA in marketing management, organisational behaviour and accounting specializations in the two year full-time course. John grew up in Mumbai and studied at Bombay Scottish School and college. He was a good athlete and participated in the 100 and 200 meters runs. He passed his B.A. (Hons) in Economics and also learned Taekwondo, under the guidance of master Javed Khan. John began his modeling career by substituting for a model who didn't turn up for a shoot and was requested by his boss to complete the campaign. Known For: Kay Kay Menon is one of the class actors of Bollywood who has worked for even TV serials such as Pradhan Mantri and telefilms like Zebra 2 and Last Train To Mahakali. Menon considered Mumbai to be his hometown and did his specialization in marketing while pursuing MBA degree. He was popular in his class as a singer of ghazals. Initially Menon wanted to work for the advertising industry but later he went on to theatre to give a fresh start to his career. 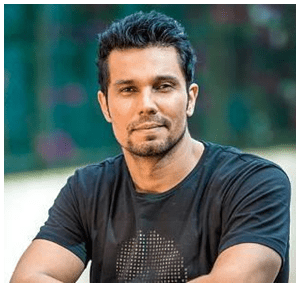 Known For: A very well-known and talented Indian Actor, Randeep began acting in school productions. To our surprise, the actor also holds a post-graduate degree in the management domain from Melbourne, Australia. Hooda made his Bollywood debut in Monsoon Wedding in 2001 and since then there was no looking back in life. He is also a professional equestrian who regularly participates in polo, show jumping and dressage events. Known For: A versatile Indian film actor who has appeared in Tamil, Telugu, Hindi, and Malayalam language films. He has been a academically bright kid and was born in a Tamil-speaking family. He even participated extensively in extra-curricular activities during college days and served as the president of the college's debating society and attending the World Debating Championships. 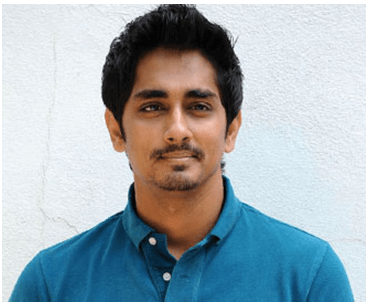 Siddharth's began his acting career with the Banish mosquito repellent ad that he dubbed in eight different languages in 1988. 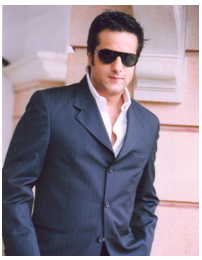 Known For: Fardeen is a Bollywood actor and although he might not have earned a huge name and fame in the field of acting but the man has a business degree. He has also received training for his acting skills from Kishore Namit Kapoor's Acting Institute. 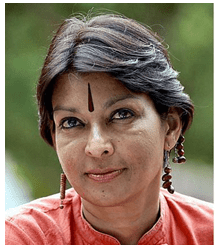 Known For: An activist and Indian classical dancer from Ahmedabad, Gujarat, India. Sarabhai has also pursued management degree from Indian Institute of Management (IIM) Ahmedabad. Her father, Vikram Sarabhai, was the founder of IIM-Ahmedabad. So, the daughter continued the league of graduating from the premier management institute. But later on she chose a career in dance and theatre and performed exceedingly well in it. These are some really knowledgeable and equally talented celebrities that have earned academic excellence in life. An MBA degree in their bonnet is an added advantage to motivate others who are planning a career in the field of management. An MBA degree helps to acquire skills that will help you grab business tricks and multiply your money manifolds. To read more interesting stories about MBA Career, please subscribe to our newsletter and get access to latest updates that can enhance you MBA career!